It’s funny. I didn’t even think to look and see if my blog was getting hits because Hillary Clinton’s doctor shares my name. Turns out over 300 people have looked at my “About Lisa Bardack” page in the past few days. I would imagine upon reading my mini bio, they realize that I am not currently hot in the news. I wish I was. I wish I was a magician able to conjure evocative words that successfully reached multitudes of people beyond the green choir to get them to truly understand that we must get away from using fossil fuel energy to fuel our world ASAP. That every choice we make in switching to renewable energy and becoming more energy efficient is a choice that makes a viable future more of a possibility. Because it is just that, a possibility, not a given. As people ponder whether Hillary Clinton getting pneumonia disqualifies her from becoming president (which, as an aside, I find ridiculous), I wish that the headlines of all mainstream media would report on the insanity going on in the Dakotas where Energy Transfer Partners is trying to force a pipeline through Native American lands. A pipeline carrying nasty toxic crude oil that when spilled — and it does spill again and again, though you never see it reported in mainstream media — destroys water, ecosystems, wildlife and human health. We do not need any more pipeline infrastructure. Not running under the Missouri River, not anywhere. Rather than focusing on Hillary Clinton’s health, we need to be focusing on the health of humanity in the face of dirty energy and climate change. The extraction process alone of crude oil and natural gas is poisoning people all over this country and world. My prior posts talk about how fracking is wreaking havoc on the health of those who live near well sites. Children suffering from nosebleeds, dizziness, rashes that cover their body, headaches, gastrointestinal and respiratory illnesses and more. The effects of greenhouse gasses saturating our atmosphere from the burning of fossil fuels are turning our weather and the basic functioning of Earth’s systems upside down. I’d call that newsworthy. Earth is where we live; it sustains us. We are in a place now in human history where we must without question align how we live our lives, how we function, with the functioning of the planetary systems on which our lives depend. The atmosphere cannot continue to be subjected to greenhouse gasses. For too long now, we have treated the Earth as something to use for the sake of human progress, detaching our selves from its aliveness, its intelligence, its sacredness in order to make the destruction easier. In our thirst to fuel our society with fossil fuels, we have reached our limit. I am not a doctor, but I do know that there is no Planet B, and the clock is ticking. Embracing and committing to a clean energy future now is a commitment to our children and future generations. There is no alternative to a viable future. If I were Dr. Lisa R Bardack, perhaps I could get more traction out of such a prescription. 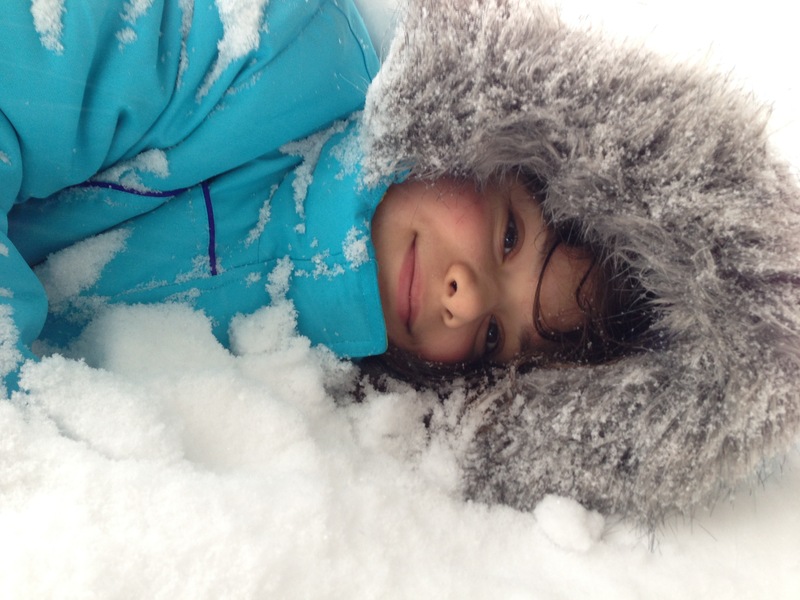 I’ve got a daughter who loves the snow with all her heart. When we get a good snowfall, she runs outside and literally immerses herself in the snow, asks to be buried in it the way one gets buried in the sand on the beach. She puts her face directly in the snow, happy as a puppy, and eats it fresh from the sky. When the snow first falls I let her partake of it, though quietly I worry about what is in the snow. I know it’s far from pure because, lovely as it is to watch fall, it carries with it what is in the air. 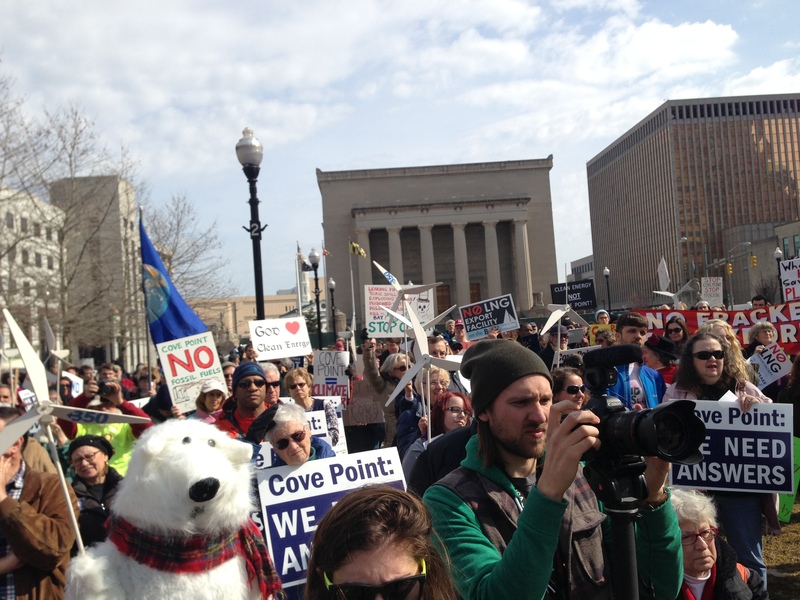 Excellent article below by my friend and colleague Laurel Peltier that presents a brief and accurate summation of why a liquid natural gas export facility in southern Maryland is bad news for all of Maryland. And beyond. Right before bed last night, I got word that the Federal Energy Regulatory Commission approved the construction of the proposed Dominion Cove Point liquid natural gas export facility in southern Maryland. For those of us who have been fighting for a comprehensive Environmental Impact Statement (EIS) to be conducted before any approval is given, we knew we would likely see the authorization of the export facility without an EIS. We don’t call FERC the Federal Energy Rubber-stamp Commission for nothing. Still, the news is like a knife to the heart. 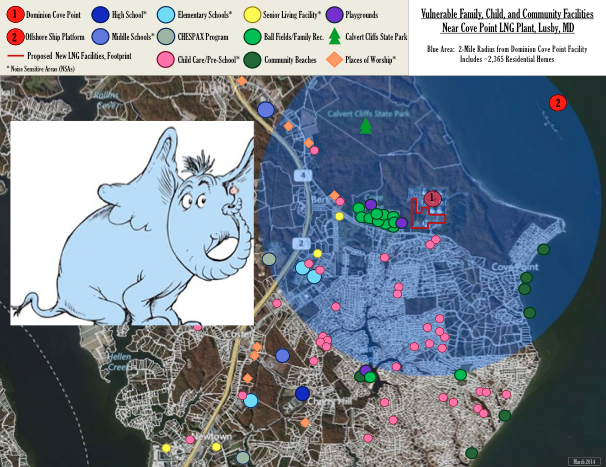 Most of us know the story of Horton Hears a Who by Dr. Suess. The beloved elephant Horton, with his great big ears, hears the cries for help from the Whos on Who-ville, a planet the size of a dust speck that rests precariously on a clover. Horton, with his big heart, commits to saving them because “a person’s a person no matter how small.” Yet, sadly, he can’t get others to hear their cries and acknowledge their lives. On Saturday I went to my stepson’s graduation from St. Mary’s College in southern Maryland. It was a beautiful day, and attending family were filled with love and pride as we took in this milestone. We snapped lots of pictures when the ceremony was over, with big smiles on our faces, attuned to both the impressive accomplishments achieved and the opportunities on the road ahead. 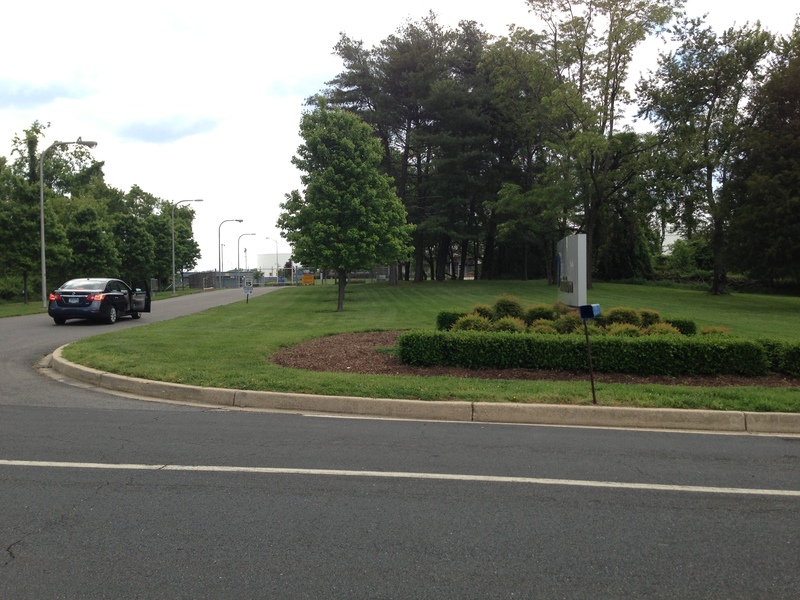 Speaking of the road ahead, it turns out Dominion’s Cove Point was on the way home, very close to the college. My husband Gregg and I decided to drive by the dormant liquid natural gas (LNG) import facility that Dominion Resources of Virginia hopes to turn into an export facility as soon as possible. I wanted to see for myself how close the facility is to family residences. I had heard they were just across a two-lane road and, lo and behold, they are! Notice the LNG storage tank just beyond the gate! I got out of the car to take a few photos, and as soon as I got back in, security pulled up behind us, lights flashing. They asked what I was doing there. I explained that I had heard about Dominion Cove Point and wanted to see for myself how close the LNG facility was to the community. He asked for my ID and then went around and took down Gregg’s license plate. He was on his walkie-talkie the entire time and continued to detain us there, as if we were a threat of some sort. After a few minutes, Gregg said we had been detained long enough, and we parted ways. Really? Was it necessary to detain us for taking a couple of photographs outside of the facility? Who’s the real threat to security? A concerned citizen or a proposed LNG export facility that has the proven potential to explode right beside a residential neighborhood? The answer should be a no brainer. Apparently it’s not. I have been quiet for a while on the writing front. I’ve been more of an activist of late, compelled by the urgency to change where we source our energy before we poison ourselves right out of existence. 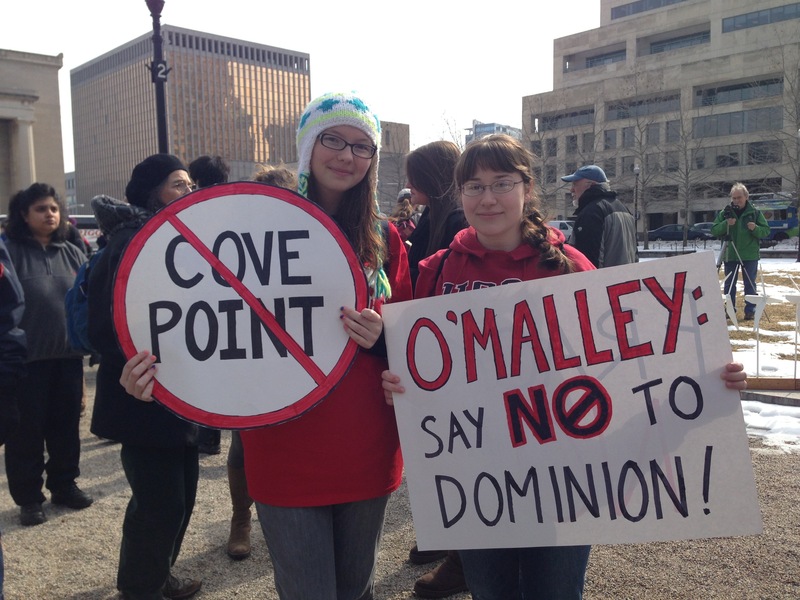 I’ve been going to press events and rallies for such things as the proposed Dominion Cove Point liquid natural gas (LNG) export facility in southern Maryland. I’ve been making video shorts of some of the moving speeches given at these rallies. I’ve been speaking in places of faith about fracking. And I’ve been going to Annapolis, Maryland to learn how my state government works, how to meet with elected officials and educate them on what I know and why it matters. In all these events and actions, I carry in my heart the people I have met over these past months and years who have been directly affected by the ramifications of high-volume, slick water hydraulic fracturing – more commonly known as fracking. They are sick. Their children are sick. Their drinking water and air have been contaminated by the fracking process with incredibly toxic chemicals that should never touch humans. They have lost the value of their homes and peace in their lives. 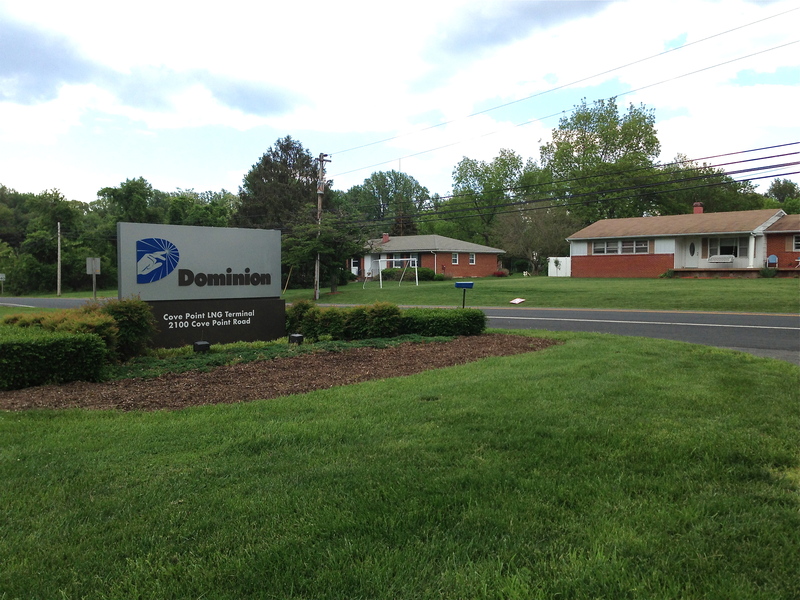 Now, Dominion Resources of Virginia wants to turn its dormant liquid natural gas import facility in residential Lusby, Maryland into an export facility, with a massive contract already in place to export the gas to India and Japan for the next 20 years. It will be the first LNG export facility on the east coast. Sometimes there are impending disasters that are so extreme, I have to tune them out for fear that they will have too great an impact on my capacity to function in daily life. Such had been the case with the nuclear catastrophe in Fukushima, Japan. Since the initial accident in March of 2011, there has been little in media covering the ongoing leakage of radioactive waste into the air and Pacific Ocean; little on how a yet-to-be-quelled damaged reactor remains a serious threat to us all. It was easy enough to tune it out. Until my daughter Claire decided she loved to eat dried seaweed. In my Internet meanderings, I had come across an article on Japanese seaweed showing high levels of radiation. I remember quietly mourning the loss of sushi, knowing I was now much less likely to eat it, not knowing where the seaweed – or the fish for that matter – came from. Still, I do eat sushi on rare occasion, quietly pushing away thoughts of radiation, telling myself that a little radiation here or there is probably tolerable. But not when it comes to Claire. So I looked at the packet of dried seaweed she loves and saw that it was from Korea. I investigated further and learned that Korea was on the back end of the nuclear meltdown, and Korean seaweed and fish were showing no sign of radiation. I was relieved, knowing Claire was in the clear. 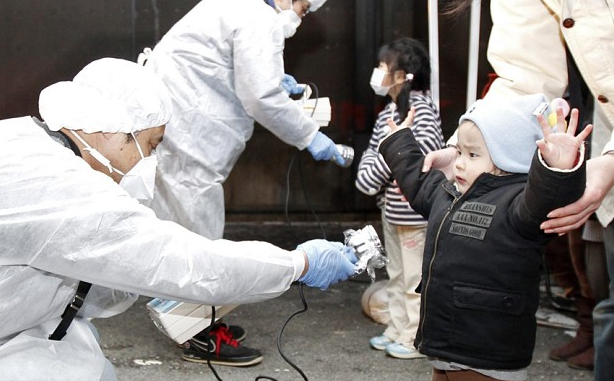 Time to tune Fukushima out again and move on. Except that I couldn’t. I was already knee-deep. I had learned that radioactive waste from Fukushima has been pouring into the Pacific Ocean for the past 2.5 years and is heading toward the West Coast. It was deeply disturbing news to bear, yet almost paled in comparison to what is currently happening with Fukushima Diiachi Unit 4, the nuclear reactor that still has the potential to cause the most powerful, widespread nuclear accident in human history. 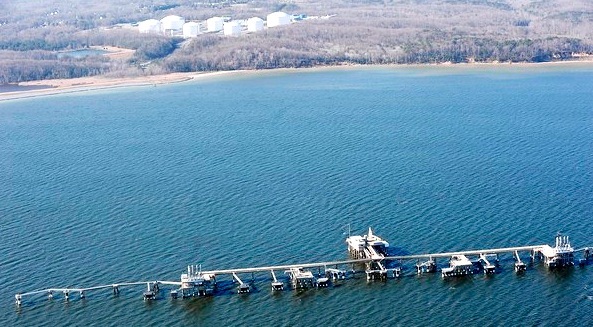 Cove Point LNG export terminal. Coming soon to a Chesapeake Bay near you? There has been an impressive, growing effort in religious communities to become more actively engaged in energy efficiency, thanks in large part to Interfaith Power and Light. So fracking seemed to me a reasonable extension of this engagement. Turns out, a fracking presentation is a harder sell than I had hoped. Taking a look at how natural gas is extracted isn’t a priority, and I get that. 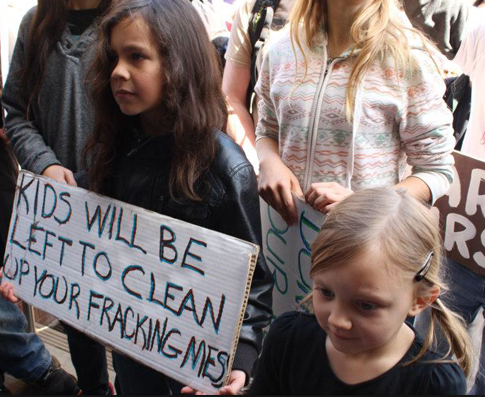 There are so many social causes that call out for help; fracking seems a more abstract and less pertinent one. But I beg to differ. This garden we are graced to live in, this magical spinning planet we call home, was designed for abundance, designed to provide us with food, clothing and shelter, and, beyond that, beauty and magic. 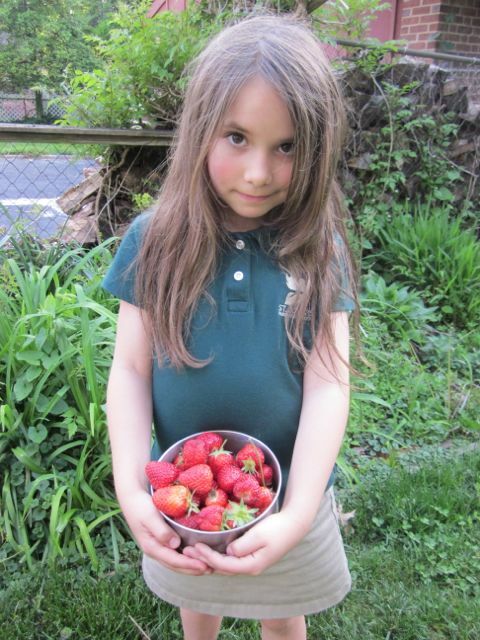 This garden was not designed to withstand the amount of carbon dioxide and methane we are putting into the atmosphere from fossil fuels; the pesticides we are putting into our water, soil and food; the destruction of our trees and oceans meant to clean our air and create oxygen. We have forgotten where we live. We have forgotten that being alive is not something we are guaranteed. We are forgetting our moral obligation to our children and future generations.